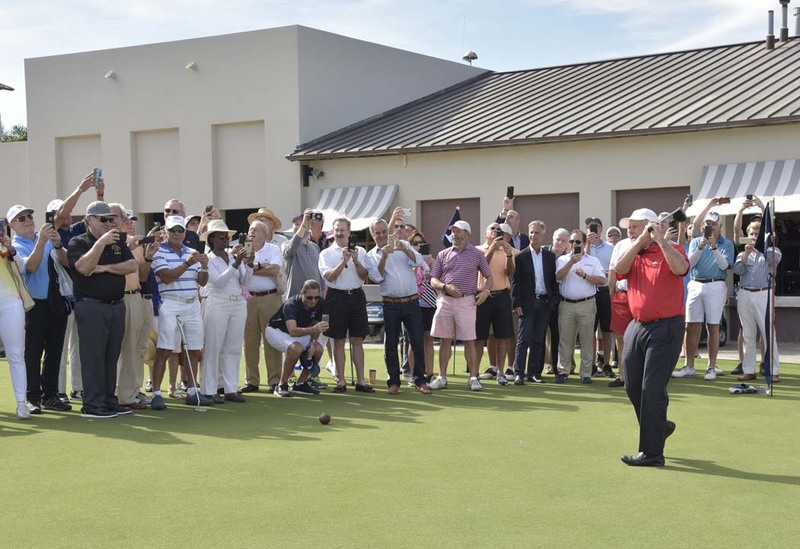 Jack Nicklaus joined the members of La Gorce Country Club in Miami Beach on January 5 to officially re-open the renovated and redesigned layout. A national audience got an exclusive look at the work being done on the course last May when the club was highlighted on CBS Sunday Morning’s Design Show. The new layout is strong on strategy, particularly with the new bunkering, while the green surfaces balance challenge with playability. The course will play faster and put emphasis on the way the ball moves on the ground. Member reviews so far have been very positive and, to Nicklaus Design, that is what matters most.